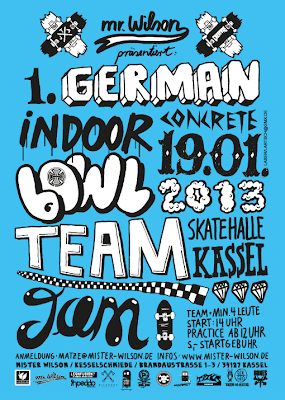 In der Skatehalle Kassel findet morgen der erste Indoor Concrete Bowl Team Jam statt. 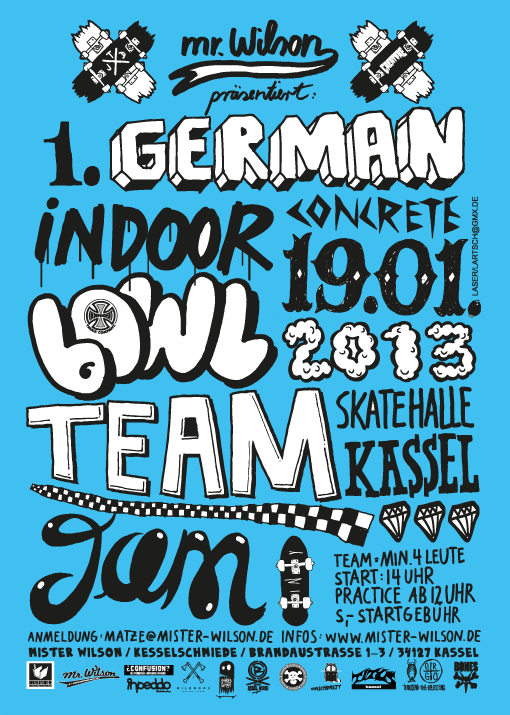 Tomorrow the 1st Indoor Concrete Team Bowl Jam will take place at Skatehall Kassel. Pavel Skates gibt es bereits seit 30 Jahren. Pave Skates ist there since 30 years now.